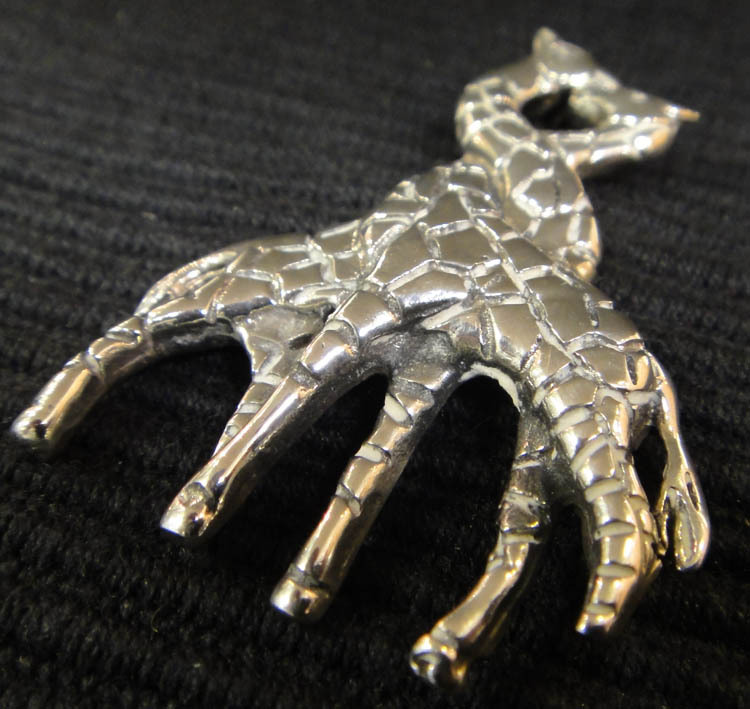 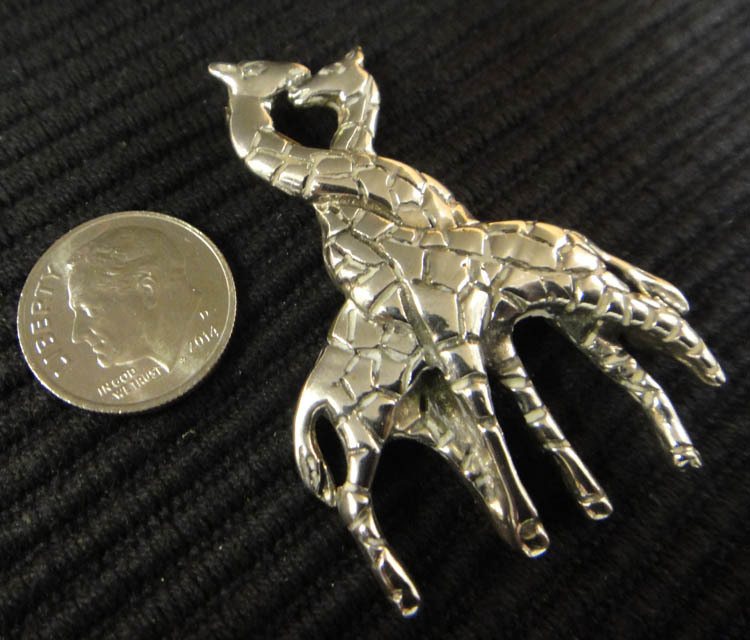 This sterling silver giraffe brooch has incredible detail! It features a sturdy pin on the back that will attach the design of entwined giraffes securely to coats, blouses or any other fabric. 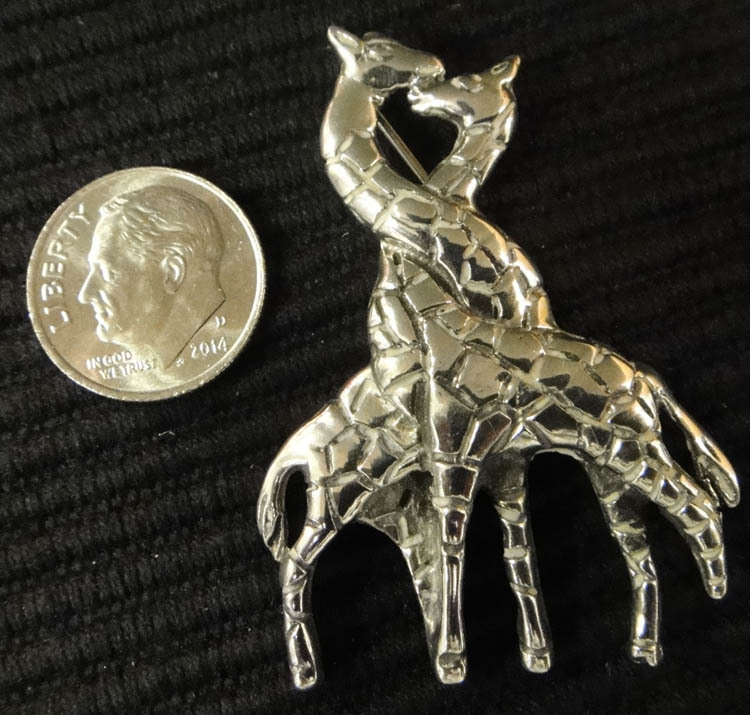 This pin measures approximately 1.9” long by 1.4” at the widest point. This brooch would make a great gift for anyone who loves animals, giraffes, or handcrafted silver jewelry. 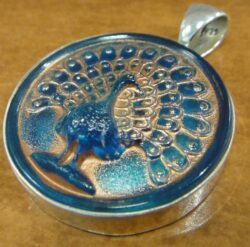 The brooch is stamped “925”on the back so you can rest assured you are getting genuine sterling silver jewelry. The pin is handmade in Taxco, Mexico. 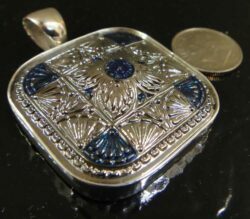 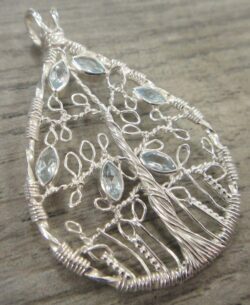 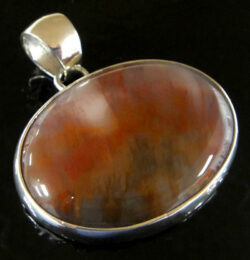 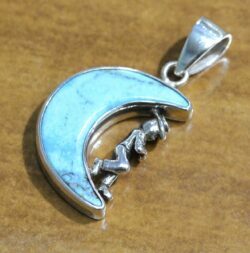 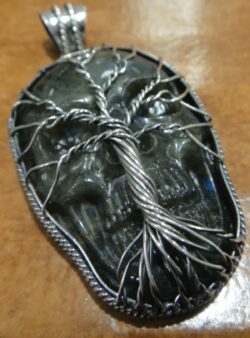 Taxco is well known for beautiful handmade jewelry and silverwork. 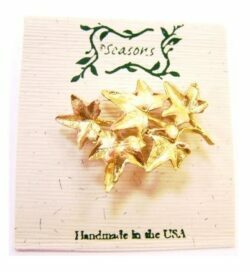 This brand new brooch comes with our original store tags and gift box.